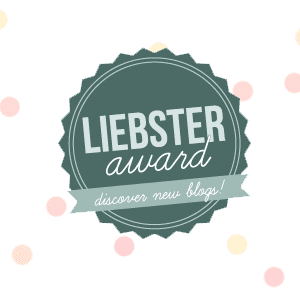 Thank-you so much to Mishymoo for nominating me for the Liebster I really appreciate it! She has also been nominated so check her blog out! 2. Answer 11 questions left by your tagger. 1) I am an Essex girl but I don't think I fit the stereotype...much. 2) I don't really have a style, I just wear what I like. 3) I really wish I had blonde hair-dying it soon yay-. 4) I'm probably average when it comes to cleverness. 5) I once thought that Aberdeen was in Germany not Scotland...-awful I know-. 6) If I could live anywhere it would be in Primark. 7) I'm hoping to go to either Bournemouth or Southampton University in September to study Retail Management. 8) I find it very hard to see the positive things in most situations. 9) I'm not very keen on the music in the charts these days, I prefer the good oldies. 10) I'm awful at speaking up if I don't like something or if there's a big crowd. 11) I'm the worst person ever at thinking up facts about myself. Do you prefer gold, silver or bronze jewellery? I'd have to say bronze jewellery as I think that's the closet to rose gold which I love! I'm hopefully getting a rose gold watch for my birthday so you'll be seeing that soon. This is really difficult but I'd say Blake Lively, the dresses she wears on the red carpet are just stunning and her day-to-day wear is really up my street too! Oh god, probably would have to be Jason Mraz 'I won't give up' as it's just so beautiful. What are the first three items you'd buy if you won over 10 million pounds? So much choice, of course I would buy fashion things but I'd save that till later so probably a car- not sure what one-, design and fund building my own house and then an apartment in New York or Paris. One fashion item you can't live without? Ahh, ermm...Probably my leather jacket as it's just so versatile to throw on over any outfit, and living in England I gotta have some sleeves going on! If you were only allowed to wear one would you chose, eye makeup or face make-up? Definitely face make-up I don't really go a day without wearing a full face of foundation even if I just popping to the shops, and the only eye make-up I really use is mascara and eyeliner which I think I could live without. Sea Lions! Ever since I went to Colchester Zoo when I was about 9 and all the sea lions came up to me from behind the glass and ignored everyone else I loved them! Heels. I have about 30 pairs but I only wear one pair like once every two months, but I continue to buy more which is so unnecessary. Can I say shoes again....? No okay, well I collect piggy banks I suppose I have two large ones and four mini ones and I designate them each a coin to have. If you could pick anywhere in the world, where would you live? Oh it's between New York and Paris, but I think I would go to New York as it's warmer than France and the shops are just incredible! New York is quite ambitious I suppose and I do actualy want to move to Paris after Uni, but if I could it would be New York. Mean question! I can't answer this! I love LLYMLRS, What I Heart Today, Vivianna Does Makeup and Glam and Glitter. But I really can't pick between them! 1) What is your favourite Lip Product? 2) What is your favourite trend of Spring/Summer 2013? 3) If you could visit anywhere in the world, where would you go? 4) What's your favourite item in your wardrobe? 5) What would be your ideal first date? 6) How would you categorise your style, if you can? 7) If you could be any age, what would you be? 9) Would you rather heels, flats or flip flops for the rest of your life? 10) What is your favourite fragrance? 11) It's your last meal ever, what do you chose to have? So that's that, I was pretty fun! I hope you enjoyed reading my answers! Speak soon, becciixx. Wow, I feels very honored to be nominate by your blog. I really much appreciated it so much, instead of doing this, I've had no time to sit-down and writhe all the many of questions, I'm thinking to feature all you pretty ladies who has been nominated my blog instead later or sooner. I should. Thanks again sweetie. So sweet of you. big hugs and kisses. Love this :), Great answers! !.